Forget the landslide of hardware leaks, Google has decided to go ahead and announce some new toys a week ahead of the October 9th event in NYC. In a blog post on The Keyword, Google’s design direct for Home and wearables shared the addition to the Home Mini lineup. It’s made from the same fabric as the Mini’s original colors—chalk, charcoal and coral—with the same aesthetic goal, to easily blend into your home. Aqua Mini does all the great things you expect from your Google Assistant and Google Home. Coral is warm, Aqua is cool. It’s a soothing yet fresh option that could be used to either contrast or blend in. The latest version of the Google Home Mini will be available from the Google Store and Walmart later this month. The Mini has become one of Google’s most popular products thanks to its small stature, low price and the fact that Google and retailers were literally giving them away at every turn during the holidays. 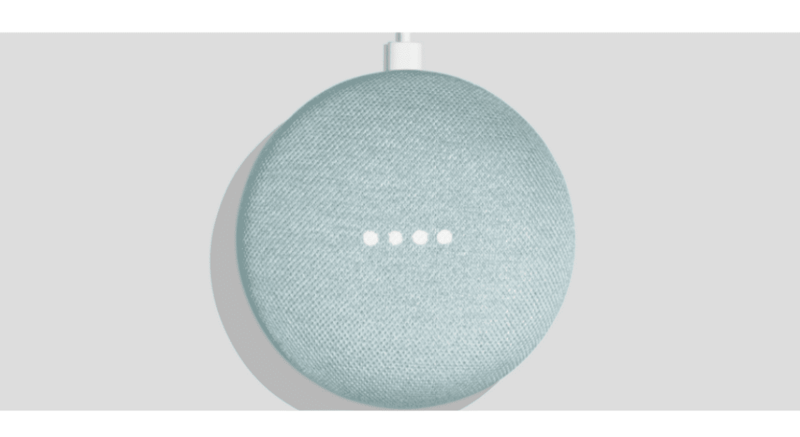 Even today, you can find stores that are offering the tiny smart-speaker as a bonus item when you purchase a Chromebook or other smart-home devices. October 9th is shaping up to be a hardware-palooza and despite this not being a “new” product, the minty colored Home Mini could get a nod from the stage next week. We’ll see.